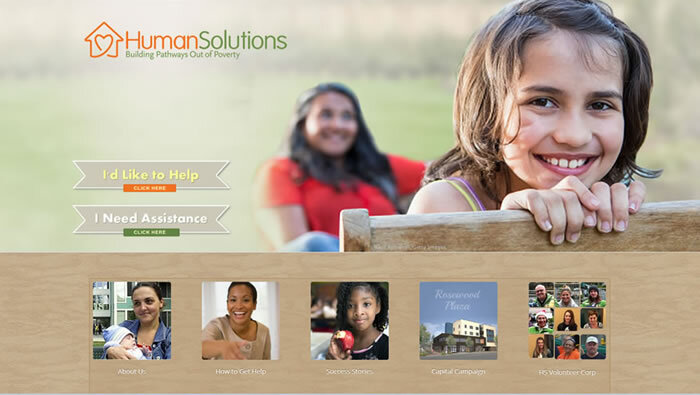 Human Solutions needed a website that more accurately reflected the breadth and scope of their organization’s services and presence in the greater Portland area, with opportunities that would encourage more involvement into their programs. They needed to showcase their 18 high-quality affordable housing complexes, their diverse services, as well as their community. 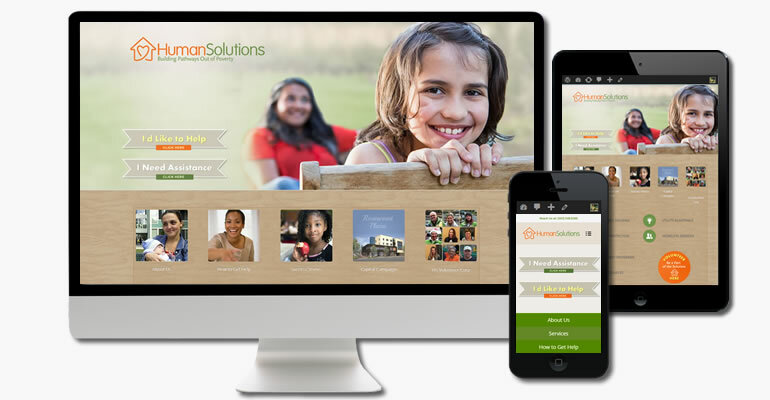 They also needed to be able to maintain their website easily on their own–and the site needed to be very mobile device-friendly. 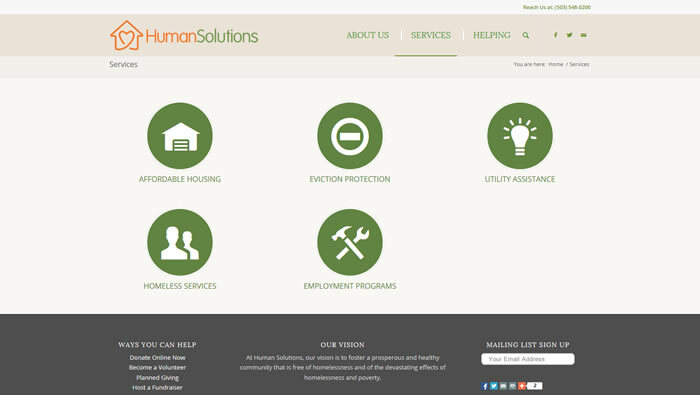 Working with the Human Solutions development staff, we developed a home page that prioritized content as it invited participation into the organization. 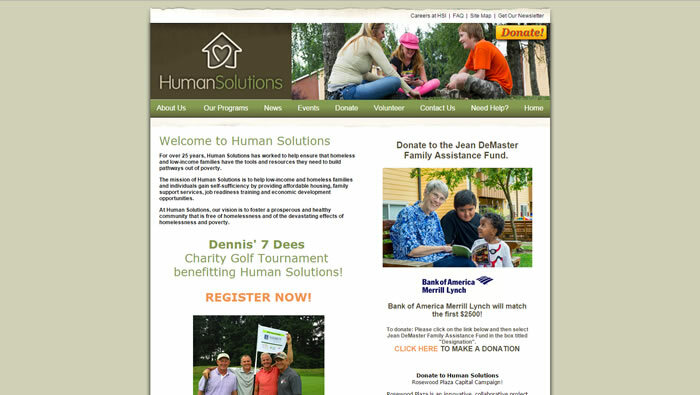 The initial choice points (above the scroll): needing assistance, or wishing to provide help are very prominent in both the desktop and mobile view versions. Then service and involvement options cascade below in order of popularity, ending with fundraising event priorities, a split-level blog and dynamic calendar. The Community page is a dynamic social networking apparatus that combines their various social networks and involvement options. 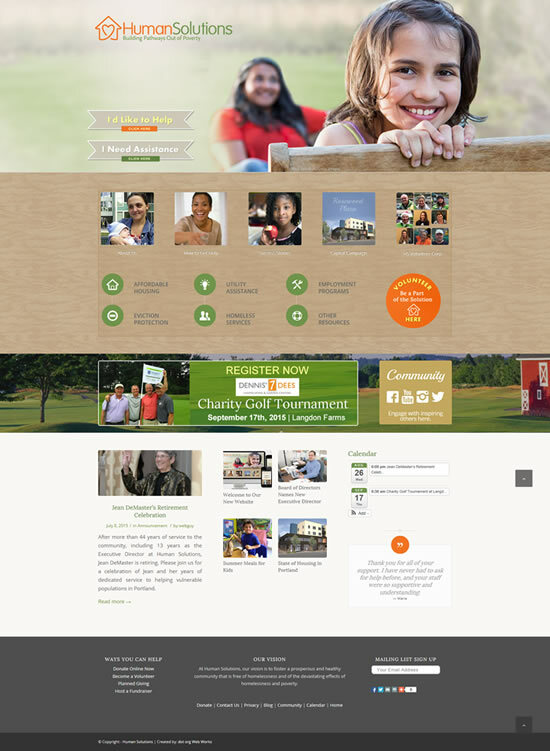 This new website is built on the WordPress platform, using a premium theme which provides the client with superior control over design, content and its users. Moreover, the website is responsive on various viewing sizes and devices, with a separate home page for small screen viewing.